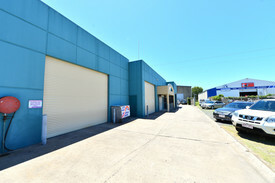 The subject unit provides the very rare opportunity to secure a premises with the perfect balance of office and warehouse space. Sitting at the front of the development, with road exposure and ample car parking, the unit provides for both warehouse and office space with a high quality level of fit out in place. For more information or to arrange an inspection please contact Jordan Hayes on 0417 999 331 or Michael Shadforth on 0488 981 076.